The Technical Association of the Graphic Arts (TAGA) is pleased to announce the new TAGA Student Ambassador program! This program is a way to get students involved with TAGA by agreeing to donate their voice. They share our mission and their personal connection to our organization on all social media channels, so please be sure to follow along! The TAGA Student Ambassadors come from across North America, representing Ryerson University, Clemson University, Rochester Institute of Technology, Ball State University, and Appalachian State University. 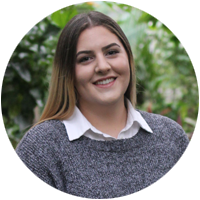 At Ryerson University, Sabrina is a Graphic Communications Management student who is also working towards a double-minor in Public Relations and Marketing. Being a TAGA student member has not only provided her with the opportunity to learn the ins and outs of the industry, but also a chance to network with other graphic communications students and industry professionals. Her dream career is to work for a magazine publishing company or media company. Trey is a Graphic Communications student at Clemson University who is highly ambitious and eager to get his start in the industry! TAGA has provided him with a hands-on and realistic experience to put his personal skills in the spotlight. If he’s not in class or with Clemson’s TAGA chapter, you can find him preparing for his weekly Dungeons & Dragons student group. 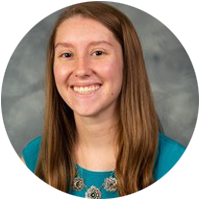 Katlyn, a Ball State University student, is pursuing a Graphic Arts Management degree with a minor in Business Development. She values the family-like atmosphere her major offers and she takes pride in her artistic drawing abilities, something she finds relaxing. Her future dream job would be to work with clients building their brand from start to finish while achieving an optimal, positive consumer experience. 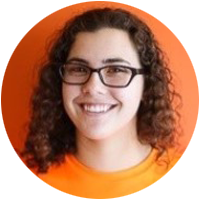 Rachel is studying Industrial Design at Rochester Institute of Technology where she also participates on their track and field team as a thrower. She enjoys being a student member of TAGA because she loves to create, and it gives her a chance to design and innovate 3D renders of objects from start to finish. She has dreams of traveling and designing outdoor sporting goods and/or fitness gear. 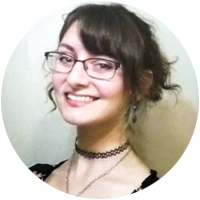 Laura is an Appalachian State University student who is studying Graphic Arts and Imaging Technology with a completed minor in Business. She is passionate about web design, 3D modeling, and animation. TAGA is a great way for her to connect with others and has formed long-lasting student and professional relationships. Laura has her sights set on a dual Masters in Library Science and Educational Media. A bright and talented third-year Graphic Communications student at Ryerson University, Victoria finds her major to be unique because of all the technological, creative, and business aspects and how they all relate to the printing industry. She enjoys collaborating with Ryerson’s TAGA students and professionals and being a part of a production project from concept to design and printing. If she’s not busy with schoolwork, she’s relaxing watching the Food Network or Netflix! 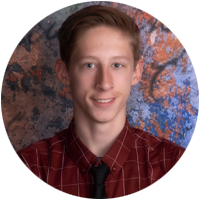 Tristan is a true go-getter with a double-major in Graphic Arts & Imaging Technology and Biology at Appalachian State University. 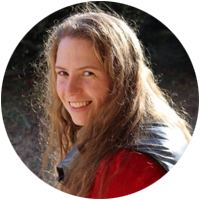 She is an avid outdoors person who enjoys being on the Appalachian State University triathlon team. 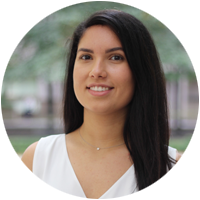 She is active within her TAGA student chapter and is thrilled to be a TAGA student ambassador!